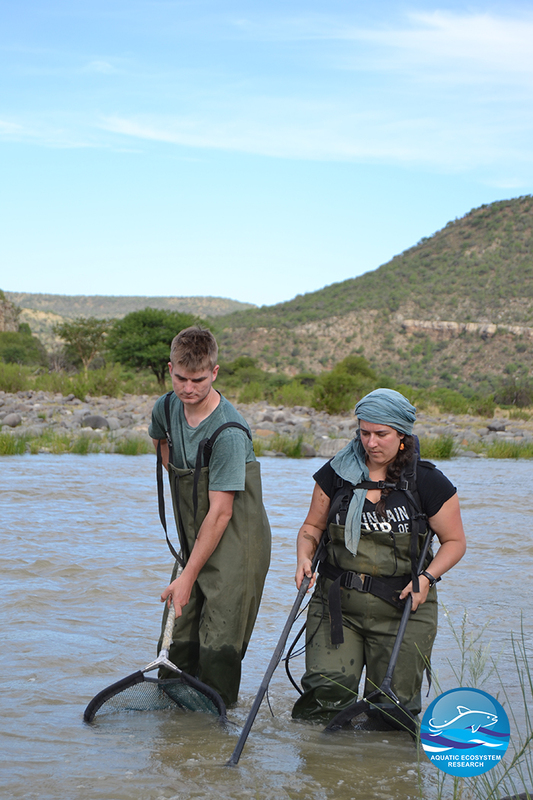 Last year, we’ve been granted a Foundational Biodiversity Information Programme grant to investigate the distribution and genetic diversity of Freshwater eels in the main rivers of KwaZulu-Natal. The project started in July 2016 and we just ended the field work. 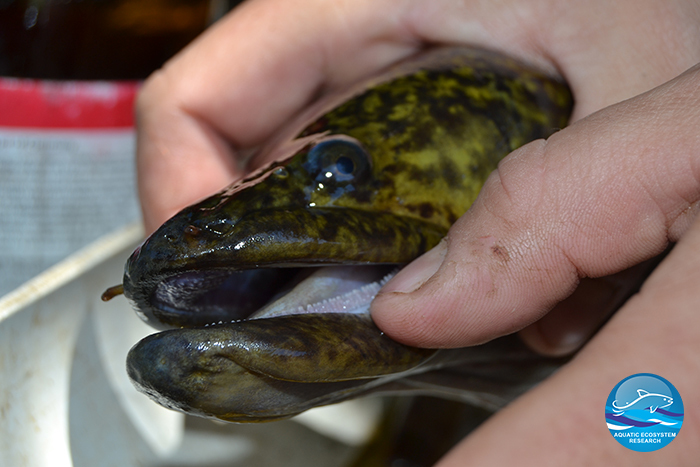 Evaluate the genetic variability of freshwater eels from populations in main rivers of KwaZulu-Natal. In the last two months, we focused our sampling effort in under-represented and under-sampled areas of the province where historical data was available as well as local knowledge. 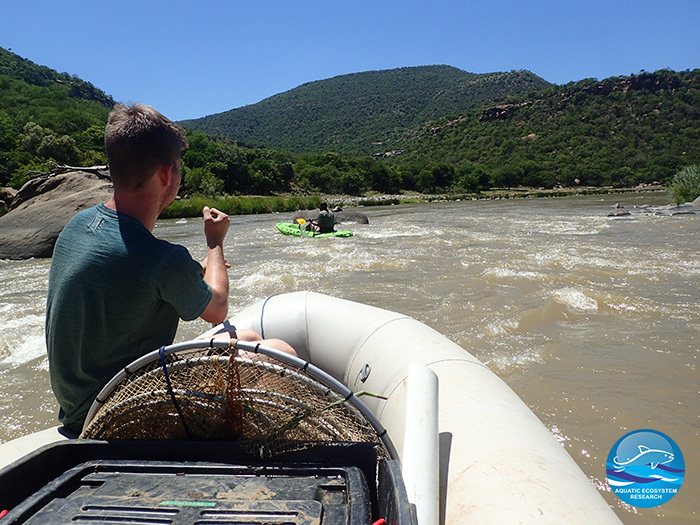 We then travelled to the Umtamvuna, Umzimkhulu, Umgeni, Thukela and the North Coast where we caught 15 eels (and 3 species Anguilla mossambica, A. marmorata and A. bengalensis labiata). Here are a few photos ! NB : All eels were released back where we caught them. It has to be noted that we work under a strict ethical code of conduct and that no fish were harm in any case. 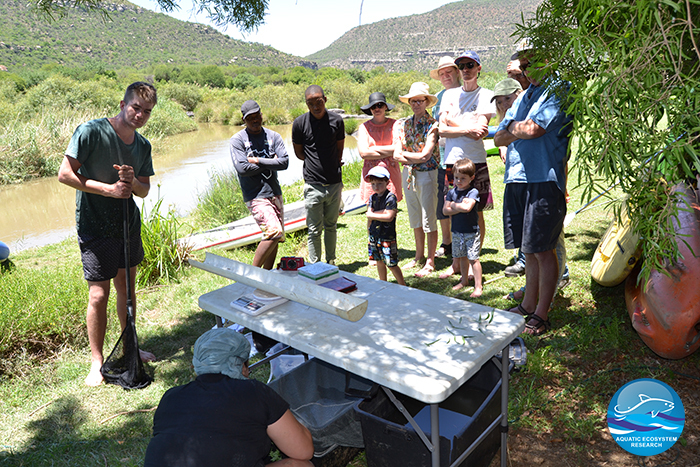 Guests at Zingela River Safari were really keen to learn about eels ! 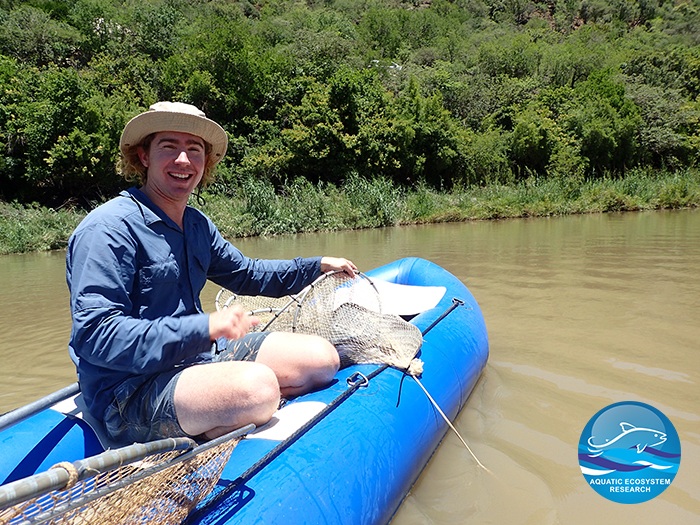 This eel caught in the Thukela was a little bit too big for our measuring pipe ! 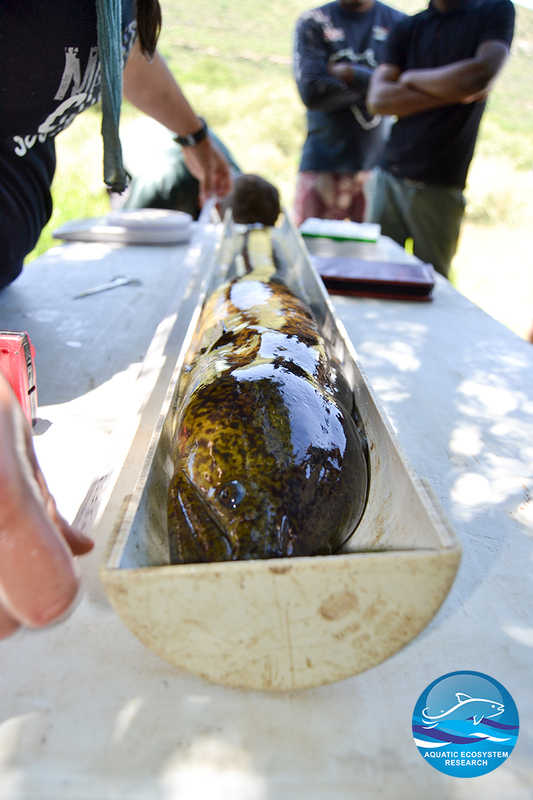 This is a giant mottled eel (A. marmorata) measuring 119 cm ! This African mottled eel, A. bengalensis labiata, has got some sharp teeth ! 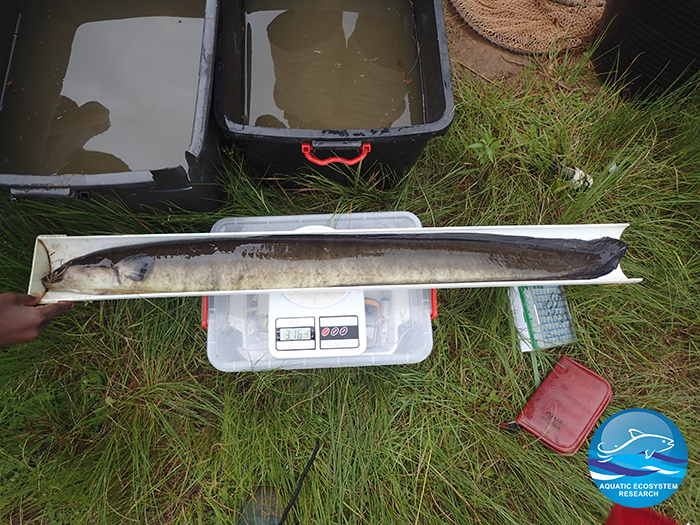 Longfin eel (A. mossambica) caught in Harding in a farm dam ! Dr Peter Calverley, happy to help in Zingela ! Thanks to him for most of the photo presented here and all the help ! 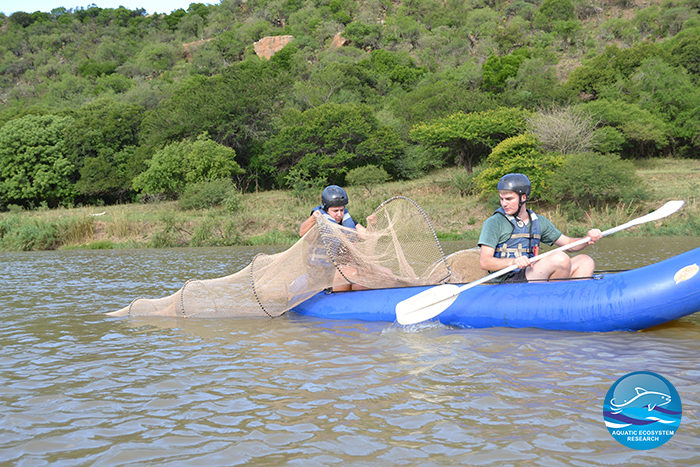 Setting fyke nets can sometimes be quite adventurous ! A pretty looking Longfin eel caught in Palm Lakes Estate. What do you think of that coloration ? All the occurence data and barcode will be available ealy in the new year via GBIF and BOLD database. We received tremendous help from local conservancies, fisherman, landowners and other enthusiasts and we want to really thank them for them help ! We would like to especially thank Michael House Nature Reserve, Donovale Farming, Palmiet Nature Reserve, the Payn Familly from Harding, Ben from Leitch Landscape, Helene and Paul from Simbithi Eco Estate, Dave and Chris from Palm Lakes Estate, Peter and everyone else at Zingela River Safari for their contribution (access, accomodation, warm welcome, help on the field and equipment).